For detailed dimensions chose a storage solution by clicking on an option below. 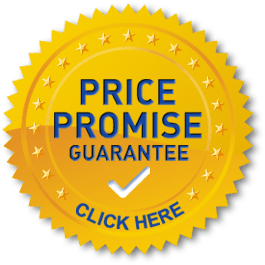 See our selection of available special storage offers and details on our lowest price self storage and freebies. Please contact us or use our quick quote enquiry form to see what unit size will be right for you. If you already know what size unit you'll need use the links above to see the details of our pricing. Prices are available on request and are subject to VAT. Provision of cardboard boxes, bubble-wrap, coversheets, tape etc. see packaging items for sale. Moisture trap refills with weekly monitoring service. Fork truck hire, including experienced driver at Aldridge/Walsall (up to 24 hours notice may be required to book this service). Minimum rental period of one week. Rentals payable in advance by debit/credit card*, standing order or cash following the first payment. * credit card payments are subject to an additional 1.5% surcharge. A refundable deposit of £100 is required. Storage unit rent is subject to VAT at 20%. Storage units are rented subject to our standard Terms and Conditions of a Licence to Store Goods. Reception Office hours Monday to Friday, 8.00am to 5:00pm Saturday 8:00 am to 11:30am, Sundays, Bank Holidays and between Christmas and New Year, closed. Use our online storage quote form. Phone us or call in to view and discuss the size of storage unit you need. Call in to book the storage unit and sign our easy rental agreement. Driving license (with photograph) or passport. Recent utility bill (not mobile phone bill). We will give you your storage unit keys and your access swipe card. You have immediate access to your individual storage unit.